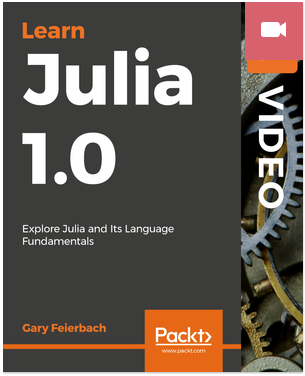 I completed the creation of "Learn Julia 1.0" and it should be available through PackT (packtpub.com) by the end of the month. The release of Julia 1.0 was in December 2018. It is the premier language for AI developed by MIT for fast prototyping and efficient execution of computer intensive AI applications. The language is very intuitive since it is very close to how you would express a problem in words and linear algebra. See www.julislang.org for more information about Julia and it comparison with other languages.